The notice board of the protection site for immovable relics. 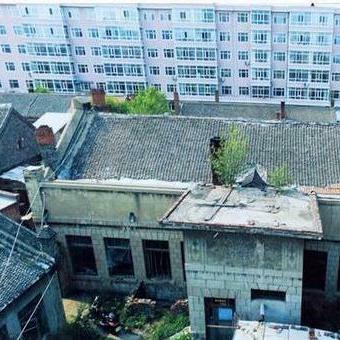 A demolition site recently attracted the public's attention in the Shuangcheng district of Harbin, as PRC founding general Liu Yalou's former residence was forcibly demolished. 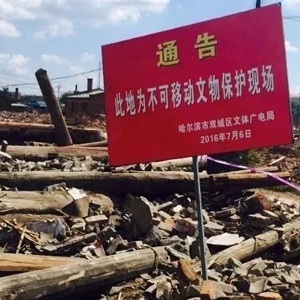 In the early morning of June 25, a total of seven immovable relics were razed to the ground in a shanty town located northeast of Shuangcheng. On the site was a red notice board with the words, " This is a protection site for immovable relics", but according to inhabitants, the board was put there on July 6. In an appeal letter, 28 residents explained that they did not know they were living on a cultural relics site when the demolitions began. There are 260 households living in poor quality buildings around the 50,000 square meters shanty town. Many residents consider demolition as their only hope of improving their living conditions. These former residences became private property in 1987. Inhabitants updated and renovated the houses, making major changes to their original appearances and structures. At that time, no individuals or government departments opposed the changes. During the third national survey on cultural relics, over 140 sites in Shuangcheng were affirmed as immovable relics. 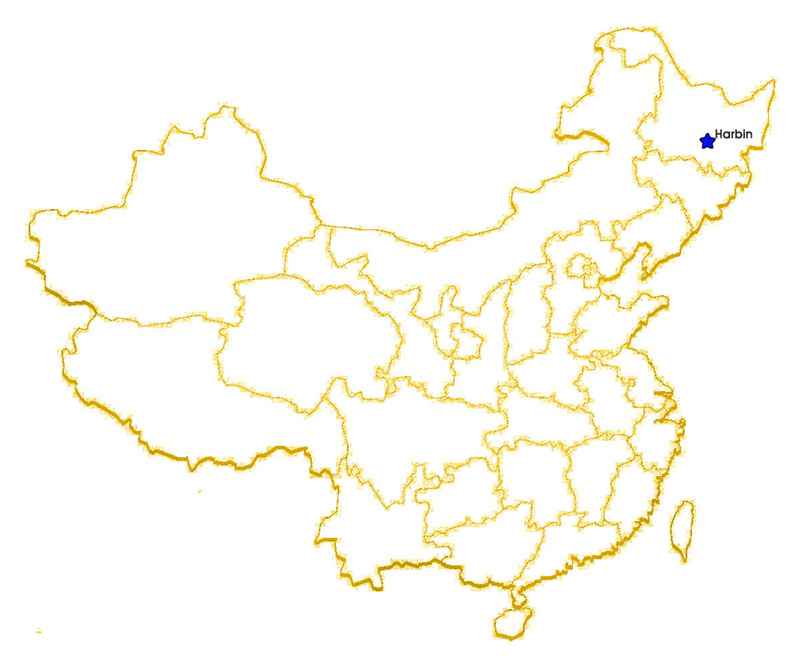 In July 2015, the Shuangcheng government applied to remove the relics status and corresponding protection from those sites already damaged or altered beyond recognition, but the application has not yet received a reply. So far, police have arrested and detained two criminal suspects. The Harbin government has intervened in the inspection.